Q: What Championships am I eligible for? A: If you log into your GAM Member account, the events that are visible under the “Register for Event” section are the events you are eligible. Before registering, be sure to read the application for each tournament you are registering for. There are additional items that may not be picked up by online registration. Once you turn in your registration (in the mail or online) you are verifying that you meet all requirements of an eligible participant. Q: How can I sign up for GAM Tournaments? 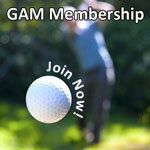 A: You can sign up for GAM Tournaments and GAM Golf Days through the GAM website. 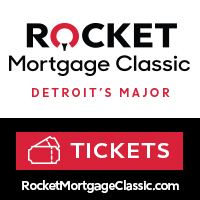 You can either log in with your user name and password and sign up on line, or you can print out an application and mail it to: 24116 Research Drive, Farmington Hills MI 48335 ATN: TOURNAMENTS. Q: I just turned 50. Where do I sign up for the Senior events? A: The age that defines a “Senior” in GAM Championships is 50 for Women and 55 for Men. The USGA has this same standard for senior amateur competitions. The Championships that you are eligible for dependent upon age should automatically come up on the tournament registration page once you log into your GAM member account. Q: I need to withdraw from a Championship or Qualifier how do I do this? A: To formally withdraw from a GAM Championship or Qualifier, please e-mail tournamententry@gam.org. In the e-mail, please state your name, the tournament you are withdrawing from, and the reason for your withdrawal. If you need to withdraw within 24 of the tournament, please call the GAM WD Hotline at (248) 478-9242 ext. 124. Q: Are GPS/Rangefinders permissible in GAM events? A: Yes, as long as the device is used to measure distance only. It must not be used to measure other conditions such as wind speed or direction, the slope of the ground or the temperature. Q: Is the One Ball Rule adopted for the Championship I will be playing? A: The GAM adopts the One Ball Rule for all of our Championships except for the Senior Women’s Tournaments, Net Tournaments, and Junior Championships. Q: How do I find information on my upcoming Qualifying or Championship round? A: Within the Championships section of GAM.org, you will find links to tournament results, player memos, and pairings. Links to the individual pages for each GAM Tournament can be found here. 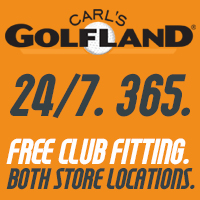 Q: I have a question on Conforming Balls/Clubs. A: USGA.org offers a great resource to check your equipment and whether it conforms to the Rules of Golf. The GAM will not adopt the “new v-groove policy” for GAM Championships.